Charlotte Bird has spent significant periods both summer and winter over 35 years in and around Denali National Park. She has lived in Juneau and in the Park. In 1987 she and her husband lived in a wilderness cabin at Mile 88 on the Denali Park road from March through September. They skied the 88 miles in seven days each night staying in Park Service cabins along the way. Spending three seasons in the park gave them intimate experiences of the subtle seasonal changes in the ecology, plant and animal life and weather. Curiosity drives Charlotte Bird's work. The varied landscapes of Alaska present opportunities to explore color, line, and pattern. Each season offers her chances to concentrate on aspects of those vistas and the stories they conjure. Her subjects are eclectic as are her interests in them. Hand dyed fabrics and raw edge applique and dense free motion quilting play important roles in Charlotte's quilts. Ree Nancarrow, a resident of Denali Park, AK for 50 years, portrays the natural world she lives in. She has been quilting since 1992. 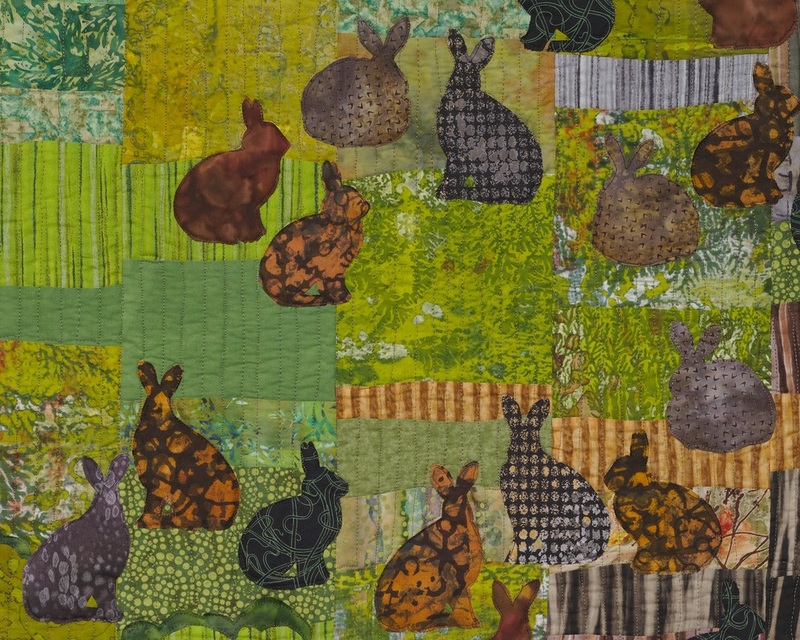 She makes wall quilts using many of her own fabrics, which are dyed, painted and/or silkscreened. 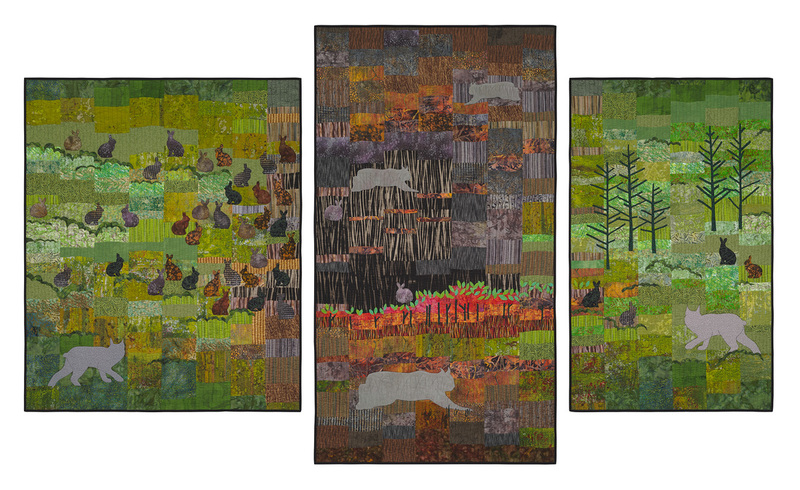 Her work is often elaborately quilted, giving it a rich and textural surface. WE have been chosen as a team for the fourth show in the series "In Time of Change: Microbial Worlds," which will open at the Well Street Gallery, Fairbanks, AK, in 2017.